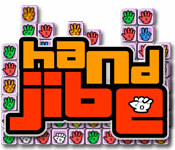 Can you make the hands jibe? This is hands down the coolest matching game ever. 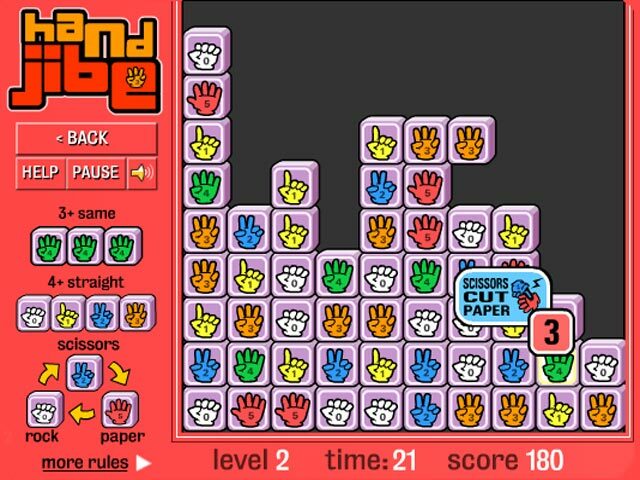 Whatever you do, just don't stop clicking!Can you make the hands jibe?Make the hands jibe in the coolest matching game ever! 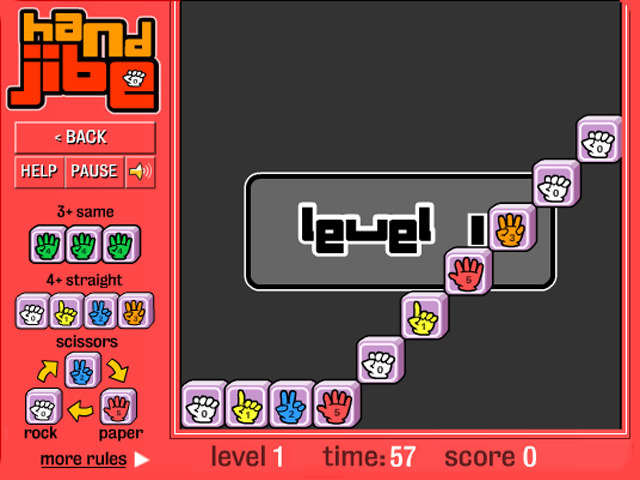 You can click everything in sight or you can play by the Hand Jibe rules and click the hands that match. 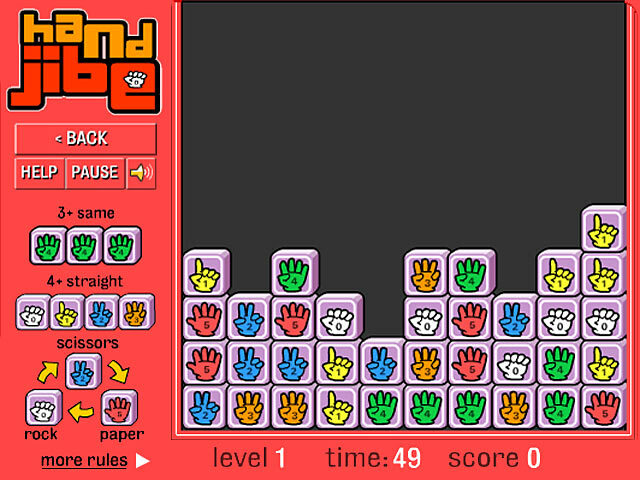 With the many combinations of colors, numbers and even rock-paper-scissors, there is always a match to make. Whatever you do, just don't stop clicking!